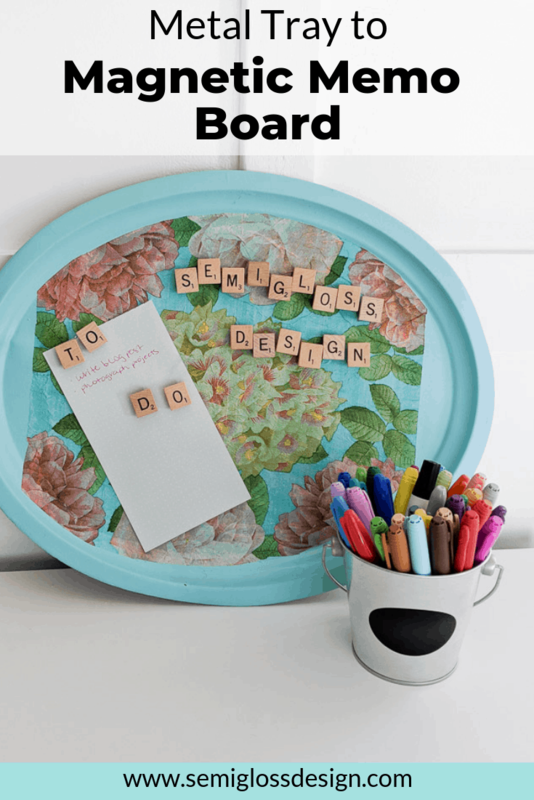 Learn how to make a DIY magnetic board from an old tray! You might also like this DIY dry erase calendar idea. It’s time for another thrift store challenge. Last month, I made faux terrariums with old jars. This month, I made a magnetic memo board for my newly repainted office nook. I used an old tray that had seen better days for this project. Clean your tray well. 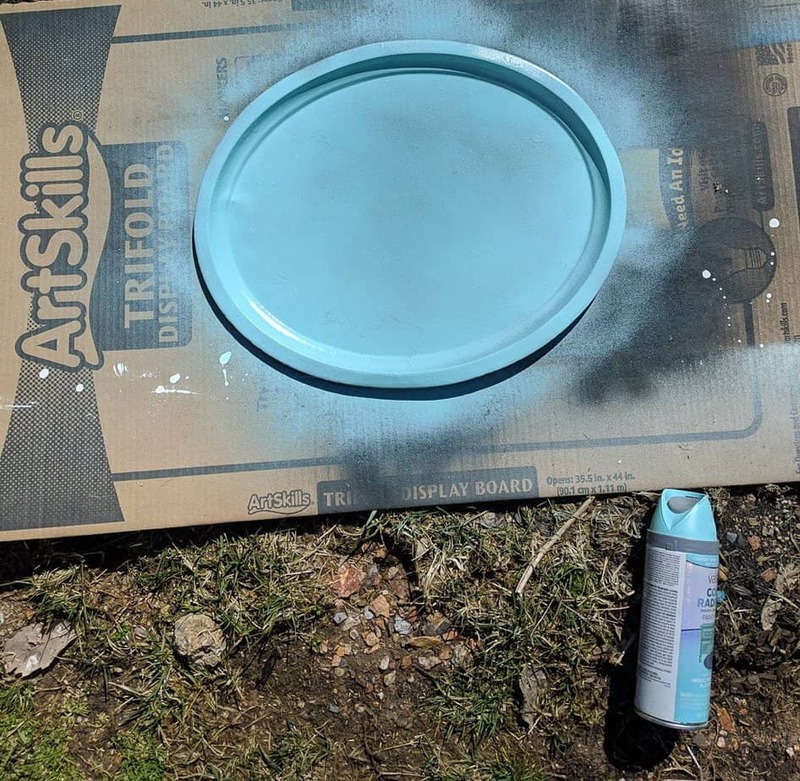 Mine had some chippy paint, so I lightly sanded it before cleaning it. 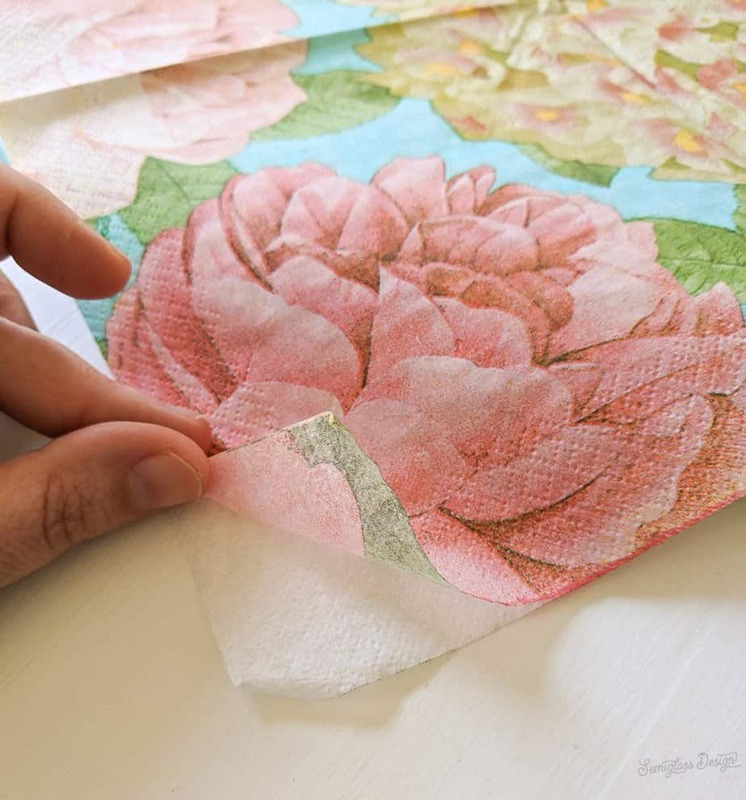 Once the paint is dry, it’s time to decoupage with napkins. Separate your napkin. Most are 2-3 ply, so each layer comes apart. Rolling the corner between your fingers helps to peel it apart. Lay it out on the tray and trace around the edge with a pencil. Trim the lines your marked. 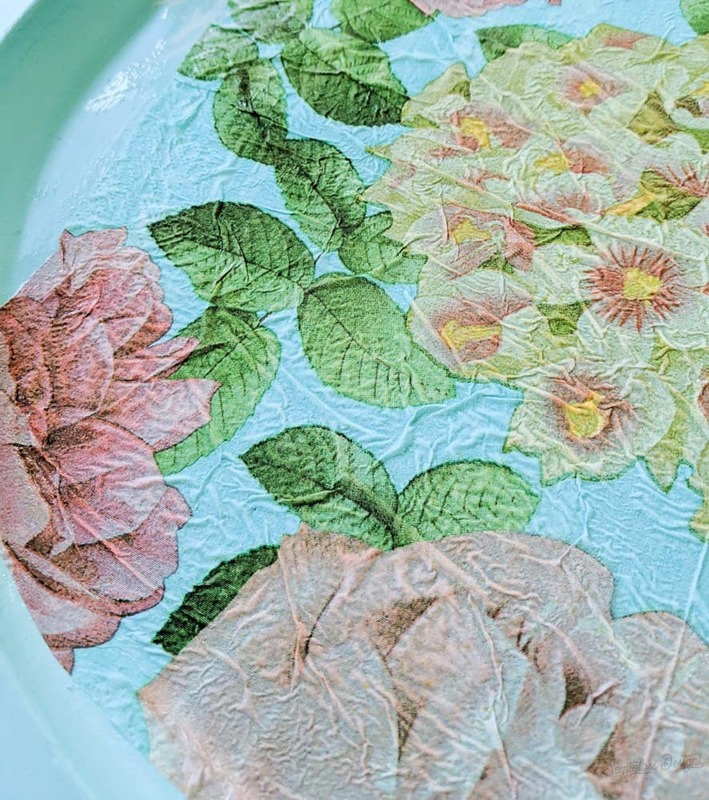 Paint on a generous coat of decoupage glue. Lay the napkin in place, smoothing as you go. Wrinkles are okay. Just keep smoothing them out. 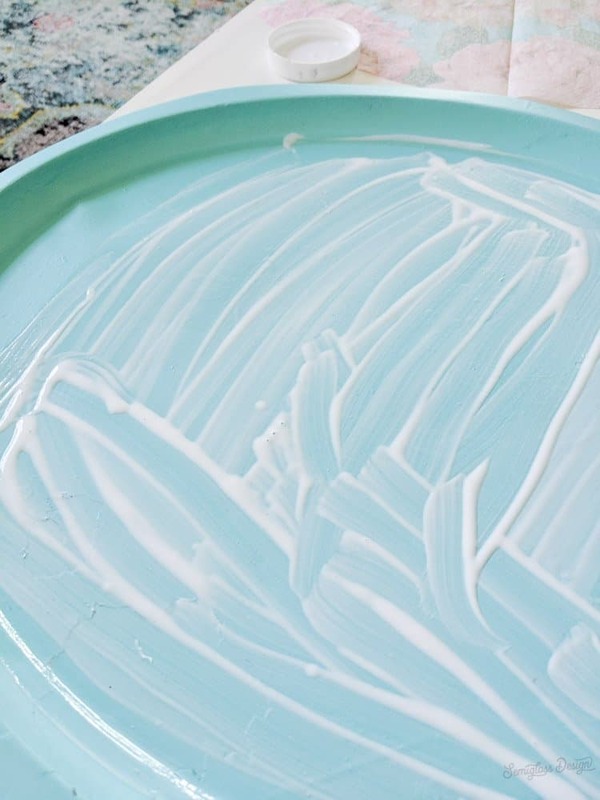 If any edges are loose, add glue to the top and it will soak through. Let the glue dry and add another coat to the top of the napkin. 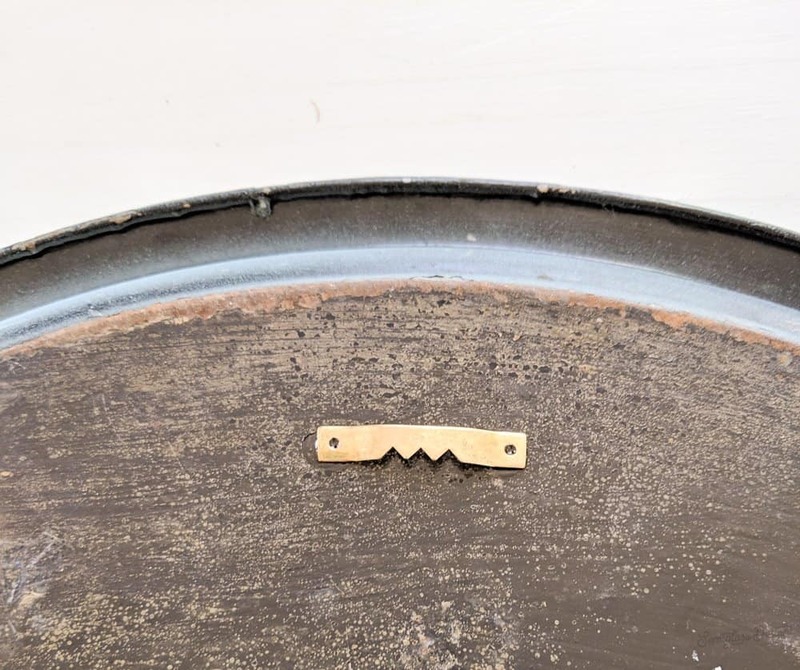 Use E-6000 glue to attach a picture hanger to the back of your tray for hanging. Attach scrabble letters to magnets using E-6000 glue. 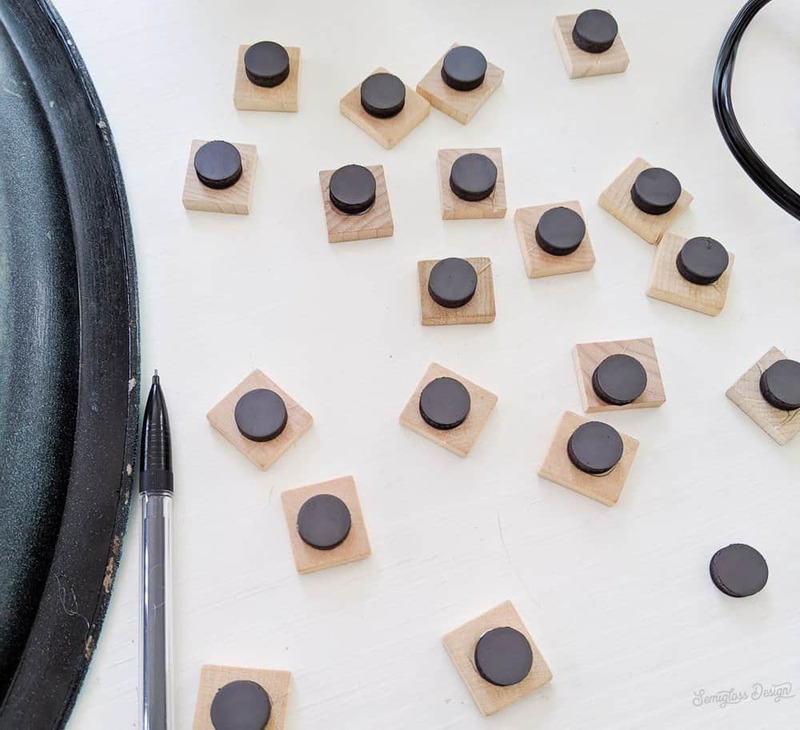 Hang your magnetic board and use your fun Scrabble tile magnets to create a magnetic memo board. Really love the color combo you did!!! This is adorable! 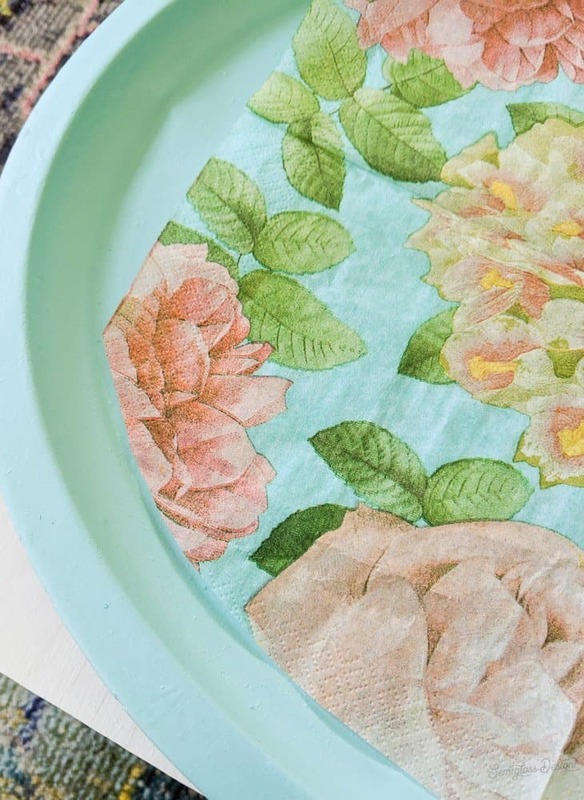 What a great idea to do with an old tray. 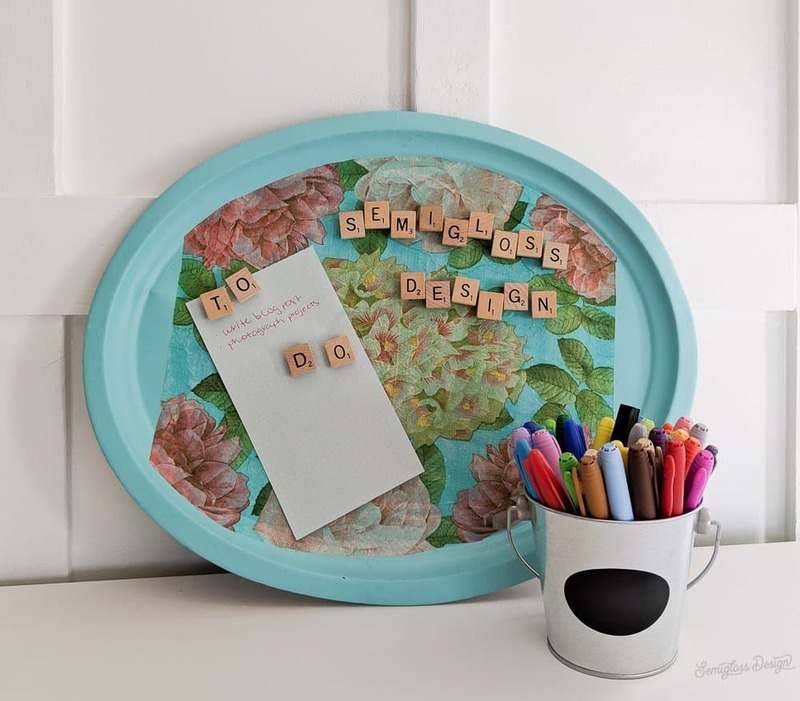 I love those little magnet scrabble letters and the decoupage is beautiful! Clever idea with the scrabble tiles. Great job. This is so fun! The colors go together beautifully and I love the scrabble tile magnets. What a fun project! A friend of mine loves using that technique with the paper napkins but I have never tried it. 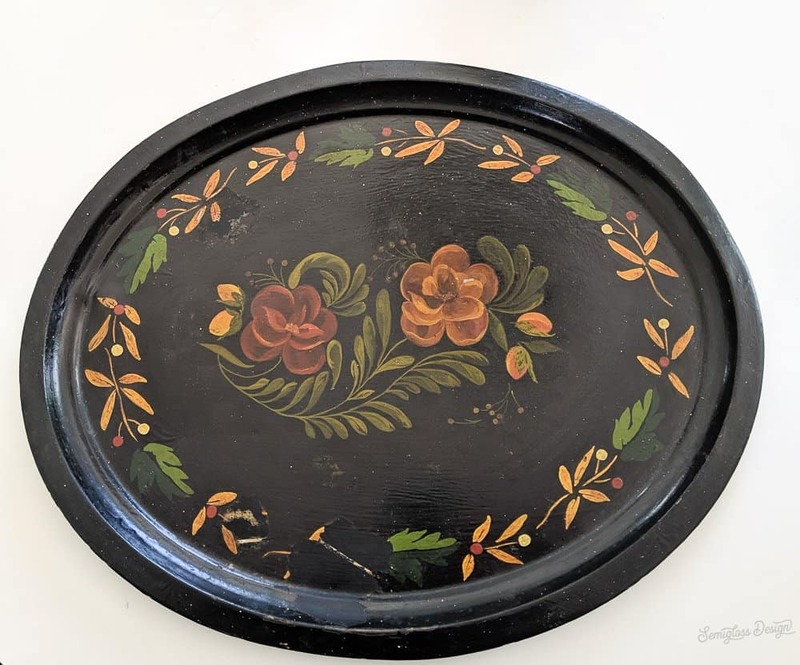 It turned out so pretty on this tray.